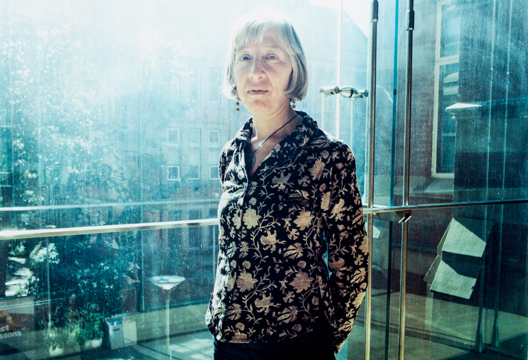 Our editor Jon Sutton meets Professor Erica Burman (University of Manchester). I bought your Deconstructing Developmental Psychology as an undergraduate in 1994. What I took from it back then was to question everything, to look behind the veil. Are those defining features of your approach? Questioning everything? Yes. Looking behind the veil? No. That would imply, firstly, a claim to revelation that is unsustainable and, secondly, that I (or anyone else) has privileged, a priori access to what can be revealed. A deconstructionist approach challenges both claims. Rather we might say that the presence of the veil constructs what it covers as being out of sight, and so secretly invests what lies behind with special qualities. My project is much more one of drawing attention to the work done by the veil – in this case interrogating the fabric of psychological practices, models, methods, techniques and discourses. These generate the special knowledge, secrets or expertise, that then can be treated as something fixed and functioning independently of those practices. Instead, I want to show how this knowledge is produced in socio-political conditions and how these actually shape what is ‘found’. That book is now in its third edition. There have been so many shifts in the socio-political conditions surrounding children in that time… what would you pick out as particularly significant? Yes, over the past 23 years we’ve witnessed the digital age, securitisation, the impact of ‘austerity’ policies and widening of social inequalities and divisions across the world. Perhaps, in these days of insecurity and precarity, it’s not insignificant that the chapter I have been requested to extend in each edition is the one on attachment. Attachment has now acquired a neurological twist, and the ‘neuro’ turn of course calls for critical reflection. Alongside this, the social investment in the child – whether as future labourer or consumer – intensifies, and we have a return of older moral discourses around notions of ‘character’ now accompanied by an apparently ‘scientific’ one of ‘resilience’ – a concept that has been moved from being a feature of systems or contexts to a quality of the individual, much as ‘worklessness’ has replaced ‘unemployment’. Migration and child exploitation issues figure even more prominently in the third edition, reflecting the current geopolitical situation; while, on a more positive note, I have tried to reflect the rise of new disciplines that offer great resources for us in developmental psychology – including disability studies, queer theory and of course childhood studies. You write that we invest ‘all kinds of hopes, fears and longings’ in children. Has it always/will it always be thus? What a great question! I expect probably yes, at least to some extent. The early debates about the ‘invention’ of childhood kickstarted an attention to the different childhoods lived and also the shifts in meaning accorded children and childhood, in particular sharpening up attention to specific representational practices and what can, and can’t, be inferred from them – paintings of children was the key example. With the rise of science and developments in biology, as well as the beginnings of psychology in 18th-century Europe, what we think of as the modern period’s generation of the idea of the individual, the capacity to have interiority, or an inner ‘self’, became aligned with the idea of childhood. Hence the popular – and still circulating – notion of the inner child, as something special within oneself that needs preserving and cultivating. But now we see an intensification and proliferation of models of childhood, including fears of, as well as for, particular kinds of children or young people. Think of the anxieties around gang violence, for example. Historical work indicates that some of the debates that we think of as unique to our time – for example, the concerns about age-compression or ‘children growing up too soon’ – were just as hotly debated in the late 19th century. So, until we have babies through other reproductive and technological means, or radically change the role of children as ‘becomings’ – whether as future workers, or leaders, or curators of the planet, et cetera – I think we are stuck with very significant affective investments in children. Nevertheless, these take different forms and acquire different salience according to time and place. And these often hamper rather than help actual engagements with and interventions for children and young people, precisely because they owe their origins to all kinds of nostalgic ideas of what kind of childhood children ‘should’ have – ideas which probably never existed. To take a story from today’s newspapers linked to fears for or about children – a pilot scheme in which teachers wear body cams. Deconstruct that for me. There is a fruitful ambiguity – who is being protected, the child or the teacher? It could be either, or both. And how could anyone possibly argue against protecting children from being abused at school, or teachers from abuse from their pupils? Alongside deconstruction, I would draw on Foucault here, in particular to consider how such a measure reflects and extends the social climate of distrust and, arising from the demand for everything to be ‘visible’, this not only renders suspect what is not immediately available for inspection – we seem to be back to the veil again! – but also engenders a sense of insecurity in one’s own individual judgment. You’re pretty sceptical about psychology’s potential to do good, for example through a ‘catch them young’ approach to intervention. Yet you feel developmental psychology exercises a powerful impact on everyday lives and ways of thinking about ourselves. Yes. Psychology is not neutral, and, for example, early intervention policies often target the most marginal groups in ways that pathologise them from the outset. Yet psychology’s participation in and contribution to oppressive practices are often inadvertent. The hope is that if we are more alert to these unintended effects or applications we might be able to frame our claims in ways that ward off some of these problems. I’m not only talking about policy applications here, but the ways psychological ideas – especially about families, relationships and child development – have seeped into everyday life. As other commentators have pointed out, it’s the mutually confirming cycle between common sense and expertise that needs critical attention. Increasingly, we are avid consumers of psychology. That includes us as psychologists; we are not immune, but perhaps we can have a role in demystifying some of the spurious claims. Isn’t the idealised childhood of innocence a decent goal for any society? The problem is that the ideal works in an exclusionary way. It positions all those children whose lives in no way approach this as deviant or deficient – which is basically nearly all the children of the world who are not living white, middle-class Euro-US childhoods. It also not only disenfranchises those who are not so innocent – who work rather than play, for example – but this place of innocence accorded children is often used to exclude them from socio-political participation. What the concept of innocence leaves uninterrogated is how this reflects particular socio-political conditions and a specific cultural-historical heritage (of Western Europe). This is what generalised subscription to this notion – as in some international development policies – obscures. Recently, you’ve researched the impact of the so-called ‘Bedroom Tax’. Explain what your approach can bring here. Deconstruction or other critical theory may seem a long way from social research, but these resources certainly inform how I understand the issues at play. Firstly, they help me refuse the prevailing opposition, or binary, between education and social policy – since educational issues figure within social policy, and vice versa. Secondly, also to refuse making a clear binary between questions of children’s school attainment and their wellbeing. Third, one cannot separate children from their familial context and environment, so that child wellbeing is also significantly related to family wellbeing, including financial circumstances. Finally, in particular, given the current gendered structuring of caregiving relationships, separating children’s issues from women’s is untenable. Women still do most of the work of parenting and housework plus their status as women is often tied to how well they are seen to ‘mother’. To take this further, our ‘Bedroom Tax’ project was formulated from a position of political commitment and solidarity. Once science – including psychology – is acknowledged to be situated, there is no choice but to take a position. Rather than, for example, claiming that it’s possible to directly translate a deconstructionist analysis into a research design, I would say that it entered into the way I worked with the research team – alongside perspectives arising from my training as a group analyst and a discursive and qualitative researcher. I think it meant that I brought a certain interpretive irreverence, as well as engagement, that supported an openness and sensitivity to the dominant and minor themes we identified in the research material. In general, my work on empirical projects – and I have co-directed some quite big projects on domestic violence service provision and migration and asylum issues – has taken the form of supporting others, particularly service providers, by documenting good practice and so offering the legitimacy of the discourse of ‘research’. A second point is that once a project design is formulated in a sufficiently open way, one can approach the analysis of the research material with the expectation that it will unsettle or contradict received ways of thinking. But let me be clear about this, the learning and knowledge-generation goes in two directions – theory is generated from, as well as informs, practice. Deconstruction is not deduction; it is about practices of reading that are alert to instabilities and the pressures – that is, the power relations at play – that stabilise those readings. Who has inspired that approach? It’s hard to name specific names, there are so many! But, certainly, bodies of theory have been very important at particular times. Feminist theory has provided, and continues to provide, major inspiration for me – now with an environmentalist, new materialist take that now includes post-human debates, which are so very relevant to discussions about children and childhood. Ditto, the post-development and critical development studies discussions from international development policy. As well as this, I have found inspiration from figures such as Walter Benjamin, on notions of time, history and a critique of progress, and Georg Perec, for his reflections on memory and childhood, and methodologically on ‘infra-sociology’ of everyday, apparent minor, details. Currently I am drawing on postcolonial theory, especially the work of the revolutionary theorist Frantz Fanon, as a resource to rethink claims made for and about children/childhood, and to situate these within their wider socio-political frames. No decent interviewer worth their salt would draw on a Wikipedia entry, which is why I’m going to do just that… yours says that you are ‘little known in the developmental psychology research community’. Do you think that’s fair, and if so why is that? I don’t know if it’s fair, or even how true this now is, since I am very pleased to have been made a Fellow of the British Psychological Society, which surely is a wonderful recognition of my contribution. But it is true that early on I encountered considerable hostility to the kind of critiques I was presenting, and I hope saying this may be of some comfort to struggling young researchers. Some positivist psychologists seemed to take criticism of psychological paradigms very personally, judging by the purple prose I received from early journal submissions. But professionals in other disciplines, such as social work, education and nursing, whose work involved drawing upon psychological knowledge, were quick to recognise how they could use these critical arguments. The discipline of psychology has certainly changed quite a lot in the last 30 years, and I welcome the greater receptivity to these critical debates. As for a renewal, well I would like to support new generations of psychology undergraduates to understand that such debates do belong in psychology. You seem, shall we say, pretty ‘invested’ in all this. Do you ‘live and breathe’ your approach? No, it’s rather the reverse! It is the living and breathing that make demands. So it’s the other way round – material, embodied encounters and activities bring focus. Psychology and psychologists do not function in isolation. I’m involved in lots of activities, and they show me what’s missing or where to go in my academic work and teaching. And I have learnt so much from the students and colleagues I have worked with. So I’d challenge the image of the lone psychologist thinking and reflecting on social practice, rather than being involved with it. And I’m grateful to have been part of a range of national and international networks and communities of critical, social and feminist psychologists – and, crucially, also non-psychologists – who have understood the need for critique and helped formulate it.